Categories: Valentines Day Bouquets, Romantic Flowers, Roses. A dozen Red Naomi Roses, Eucalyptus and China Grass are expertly combined into this stunning floral arrangement by our master Chelsea florists. Roses have long been the symbol of love and nothing says romance more than a dozen red Roses. 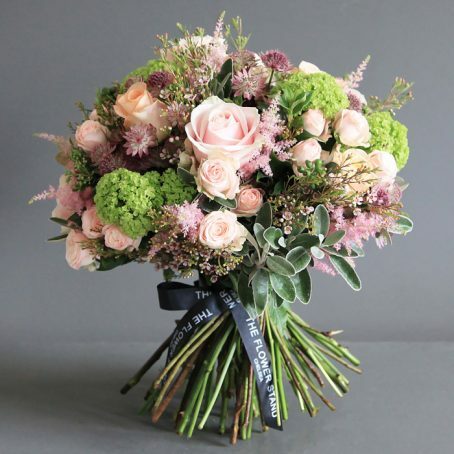 The perfect gift for Valentines day, this romantic bouquet of premium cut flowers will amaze. 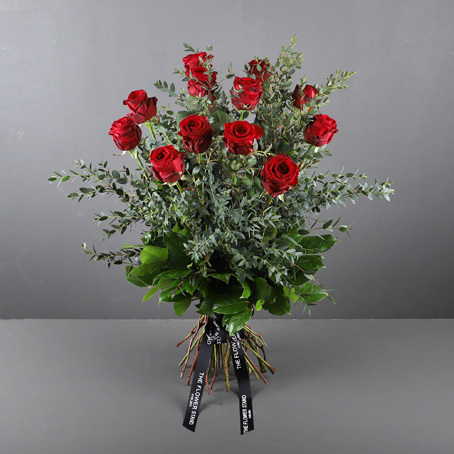 Our London florists choose only the best Roses for this stunning bouquet and that is why we opt for the Red Naomi Rose. The Red Naomi Rose is a premium Rose with the perfect red colour, with a smooth, velvety hue. The Red Naomi Rose has a large flower head and can have as many as 80 petals per bloom. With a long vase life, Red Naomi Roses are the only commercially grown red Roses that are scented, with a subtle and sweet perfume. 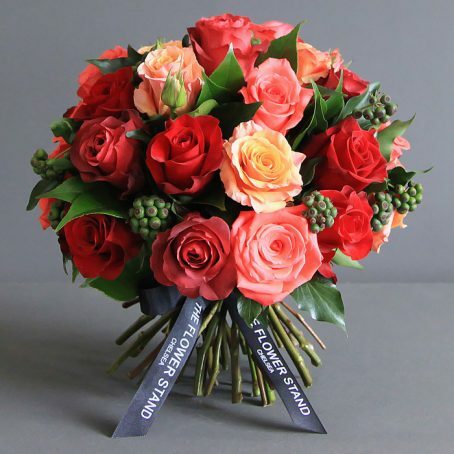 As with all of our bouquets, we offer same day flower delivery throughout London. So if you are searching for a last minute Valentine’s gift then you relax in the knowledge that our couriers will deliver the perfect bouquet of flowers to your loved one. An Autumnal display of the finest luxury cut flowers arranged by our expert Chelsea florists into this stunning bouquet of flowers. 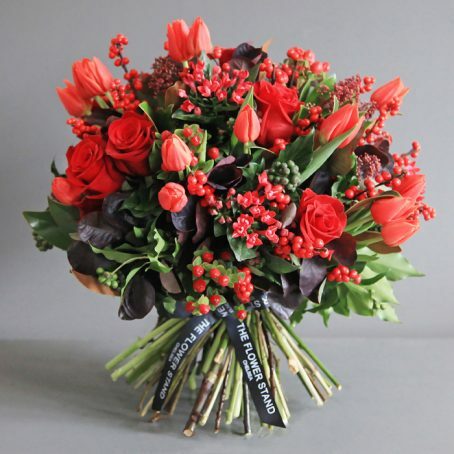 This Autumnal bouquet comprises Rock Star Roses, Tulips, Ilex, Bouvardia and seasonal foliage. 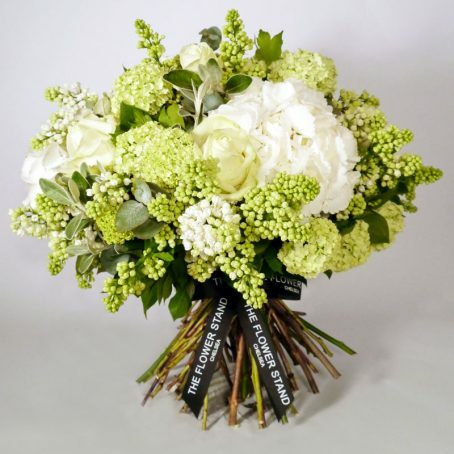 Luxury bouquet comprising Guelder Rose, Mother of Pearl Roses, Wax Flower, Astransia, Astilbe and seasonal foliage.